Brian Hartline hurt his knee in the first quarter of the game against the New York Jets. 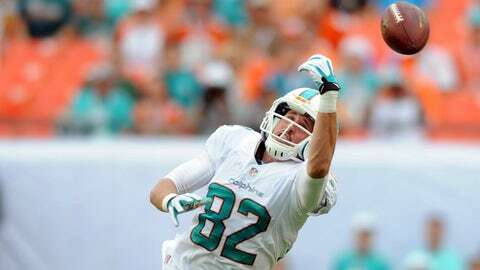 MIAMI GARDENS, Fla. (AP) — Miami Dolphins receiver Brian Hartline has left their game against the New York Jets with a left knee injury and is questionable to return. Hartline was hurt in the first quarter Sunday when he was tackled at the end of a 25-yard reception that put him over the 1,000-yard mark for the second year in a row. He limped off the field and was replaced by Marlon Moore.